Christians sometimes are told we should just run with God and ignore mere man. Some will even say we should only read the Bible and not waste time with Christian authors. Many of these folks would roundly decry things like biblical commentaries. They tell us to look to God, not man. Sadly I have encountered many of these folks over the years. As one example, I recently wrote an article in which I had some quotes from Christians, and some quotes from the Bible. Yet I had a disgruntled commentator tell me this was not good enough. He wanted me to ease up on quoting men and quote more from God. Sometimes these folks are into a hyper-spirituality (actually a false spirituality), wherein they think they have a direct pipeline to God via the Holy Spirit and have no need of any human teachers. They look down on others and think they can get all truth themselves without anyone else’s help. How should we assess all this? The very first thing to say is these folks are often guilty of arrogance and pride – even fleshly carnality – and need to repent. God has created us to be part of a Body, and he knows we have great need of one another. We find this clearly spelled out in places like 1 Corinthians 12. Now if these folks are simply affirming the obvious truth that God alone has all the answers and is the sole source of total truth, then no one would argue this point. Of course humans are imperfect and get things wrong, and of course God alone is our ultimate source of all truth. But this of course misses the point. Getting back to the question in my title, the biblical answer is clearly “both”. Sure, God is our ultimate teacher, but guess what? He has chosen to use “mere men” to accomplish his purposes. And that includes human teachers. Ephesians 4:11-14 So Christ himself gave the apostles, the prophets, the evangelists, the pastors and teachers, to equip his people for works of service, so that the body of Christ may be built up until we all reach unity in the faith and in the knowledge of the Son of God and become mature, attaining to the whole measure of the fullness of Christ. Then we will no longer be infants, tossed back and forth by the waves, and blown here and there by every wind of teaching and by the cunning and craftiness of people in their deceitful scheming. 1 Timothy 4:11-12 Command and teach these things. Don’t let anyone look down on you because you are young, but set an example for the believers in speech, in conduct, in love, in faith and in purity. Until I come, devote yourself to the public reading of Scripture, to preaching and to teaching. 2 Timothy 2:24 And the Lord’s servant must not be quarrelsome but must be kind to everyone, able to teach, not resentful. Hebrews 5:12 In fact, though by this time you ought to be teachers, you need someone to teach you the elementary truths of God’s word all over again. You need milk, not solid food! This is just a small sample of the biblical data. The simple truth is, God has chosen to use human beings to achieve much of his work on earth, so when we denigrate and scoff at one of the main means by which God teaches us and disciples us, we are denigrating and scoffing at God. God uses preachers and teachers to train his people and to help them grow in righteousness. And the same can be said about many related things such as theological education, book learning, the use of commentaries and Bible study aids, etc. These can all be used with great profit to help us better understand our faith and what we believe. Sure, all of these can be abused and misused and steer us astray if we are not careful. But that is also the case with any church leader, pastor, teacher or priest. Most Christians – except for a few extremists and nutters – will at least go to church and sit under the teaching and preaching of the pastor or minister or priest there. They get spiritually fed and theologically instructed by these leaders – or at least they should be. How is that any different from getting some theological training, reading some useful commentaries, or attending a course on Christian doctrine? A pastor/teacher after all is merely giving his human take on the Word of God, seeking to make it more clear for the believers in the pews. 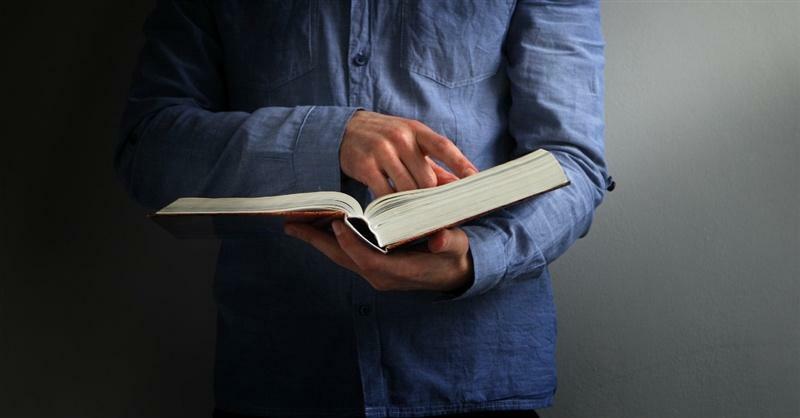 A pastor and/or teacher who collects his sermons in a book or who pens a biblical commentary is doing the exact same thing: he is – as a mere man – seeking to help the average believer to learn more about God and his Christian faith. He is a human vessel being used by God to impart biblical truth, just like the pastor in the pulpit. So if a Christian is willing to listen to a pastor teaching on a Sunday morning, why in the world should he or she be averse to learning from good Christian books and commentaries, or from godly instructors at a Bible school or seminary? Returning to my critic and his comment, if he simply wants nothing but the Word of God and no human teaching, then he should not come to my website – or anyone else’s. He should just visit online Bible sites. But most of them feature human commentary as well. Indeed, I hate to point out the obvious, but this critic did not share any Bible verses with me, but just his very human opinion. Um, I thought that was taboo, and we should all just get back to the Bible?! But you get what I am trying to say here hopefully. Sure, the Bible alone is our inerrant source of divine truth. But God has chosen to use his people to help elucidate, explain and expound on what is found in Holy Scripture. If God has so chosen to work that way, then those who complain about using any human teaching or human teachers are really complaining about God and his preferred way of doing things. For that they need to repent. 7 Responses to Divine or Human Teachers? Yes Bill, I would have torn my hair out over the last 25yrs if I had not these very human teachers guiding, directing & leading me in God’s Blessed Word. My BSF Teachers & Leaders, Christian Psychologist Mr. James Dobson, Pastor Greg Laurie, Pastor Matt Jacoby, Pastor Andrew Mills, Mr Lyle Shelton & Mr. Bill Muehlenberg. God has FINALLY called me out of my fallen Catholic Parish of 20+ years – I Am FREE & Redeemed. Good article, as usual Bill. Your final comment there exposes the whole weakness of their approach- their case is ultimately self-refuting. In order to make their case they must give their interpretation, their own words. Don’t let these people get you down, Bill! They are speaking from their own ideas of what you should teach. God will use whatever means He chooses- not just what man thinks is a good idea! Keep up the good work! You are a teacher to those of us who are willing to be taught! Not just human teachers are pressed into the service of the Kingdom of Heaven: God, on at least one occasion, tried to teach a prophet the error of his ways through the behaviour and the speech of the donkey the prophet was riding! – Numbers 22:22ff According to the Sermon on the Mount, we ought also to learn from the birds of the air and the lilies of the field. – Matthew 6:26-29. The heavens themselves tell us bout the glory of God – Psalm 19:1-6. Nice article Bill. Retreating back to the Bible-only position is the main reason we have such a mess in the west today. In the 1800’s, when Geologist started pushing for an old earth the theologians simply tried to fit these old ages into the Bible. This set the scene for Darwin, yet instead of studying biology and addressing his points, most of Christendom just retreated a bit more. Then by the late 1800’s when the books of Moses were relegated to modified Babylonian myths, Christendom retreated to a New-Testament-and-Bible-Stories syndrome. SInce modern culture talks in scientific language and ideas, the teachers MUST convey the truth using this medium. For example – showing why the global flood in Noah’s time makes a much better interpretation of the geological record than the millions of years scenario. Christians fighting false science with better Bible-based science. Ironically, doing this also gives a FIRMER foundation and belief in the truth of the Bible than a person who dogmatically refuses to read anything but today’s devotional (probably in KJV to be “pure”).